A big savings point is the efficiency of the equipment used to run your HVAC system—the motors, chillers, boilers, etc. 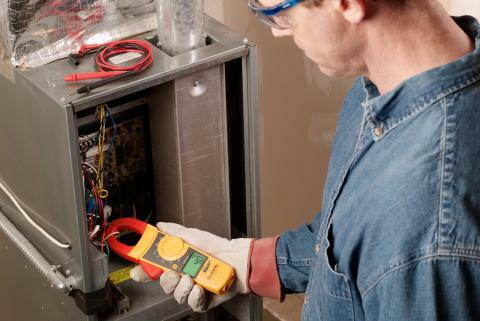 MacDonald-Miller standardized on the Fluke 902 Clamp Meter when it came out several years ago. Air velocity is a key parameter in evaluating airflow system performance. 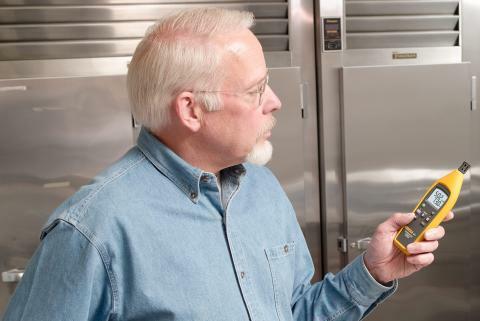 As part of basic testing, adjusting and balancing of HVAC air distribution systems, most HVAC technicians now use an anemometer to measure air velocity at grilles-registers-diffusers, within a duct, or in open spaces. After years of being a serviceman - slinging ladders, dragging tools across attics and through crawlspaces, standing in all sorts of weather on rooftops - I can now leave the service work to one of the younger techs with better knees and concentrate on my primary job as company start-up man. Boilers and their associated systems are an important part of a modern commercial building's central energy plant. 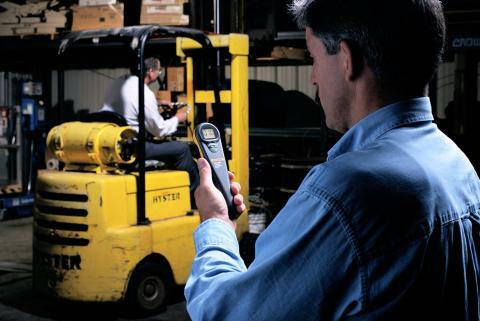 Prevent costly downtime and expensive equipment failures. In a chiller plant, meeting critical cooling requirements with the Fluke 830 Laser Shaft Alignment Tool: cooling towers, pumps, piping, shaft alignment. My chiller plant is down, do you know how incredibly critical it is? If chilled water flow is interrupted for even a few minutes the IT server room might overheat and critical computer services could go down. Another vital area is a hospital operating room. In a plant, essential machinery uses chilled water for process cooling. While many plants have excess capacity, much of this capacity is not available at high ambient temperature and high humidity conditions. 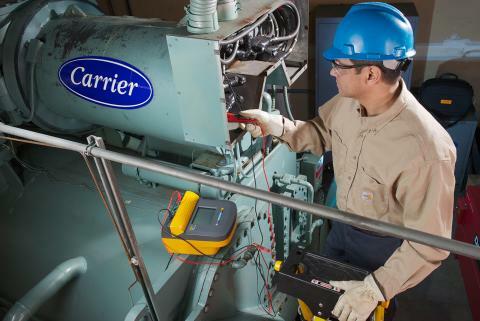 Scenarios showing how to prevent system failures and downtime caused by HVAC network problems. When the weather is warm outside, it's imperative to make sure that your building's mechanical cooling systems are working at maximum efficiency. One of the possible problems in facilities today is the presence and effects of mold on the indoor environment. Molds are normally present in nature. They reproduce by means of tiny spores that float through the air and are invisible to the naked eye. They can grow on wood, paper, carpet, foods, and insulation - but none of the many types of mold will grow without water or moisture. When excessive moisture accumulates in buildings or on building materials, mold growth will often occur, particularly if the moisture problem remains unaddressed. This how-to guide explains why and how to conduct a duct traverse, how to insert the measuring device and a step-by-step process of taking the measurements. Tips and additional resources are included. Understanding the relationship between dry bulb temperature, wet bulb temperature, relative humidity, and dew point temperature is essential in all facets of air conditioning. These psychrometric processes play an especially important role in building and materials integrity, occupant health and comfort, and overall indoor air quality. The 975 gathers ten fundamental IAQ parameters: Temperature, Humidity, Dew Point Temperature, Web Bulb Temperature, Carbon Dioxide, Carbon Monoxide, Air Velocity, Air Volume, and Percentage of Outdoor Air (calculated from temperature or CO2). This application note reviews those parameters and the associated functions on the 975. 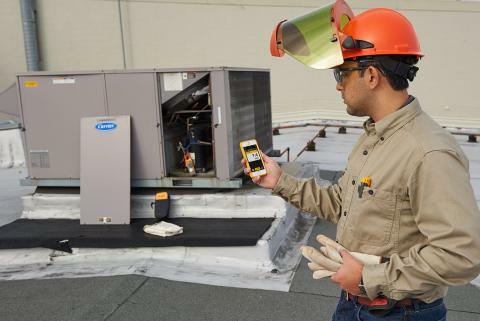 For more detailed information, see other app notes from the Fluke HVAC/IAQ library. 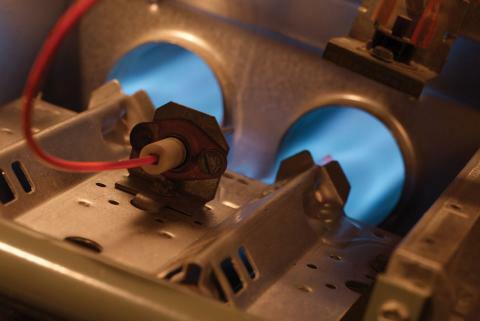 HVACR mechanics rarely rely on a single test to pass or fail a function or process. As they walk up to a condensing unit, they listen, they wave their hand over the condenser discharge air, and then they grab the suction line, the liquid line, and the discharge line (and wish they hadn't done that). All of this before they even open their tool box. Tech Tips - How Much Energy Does That High-Efficiency Chiller Waste? 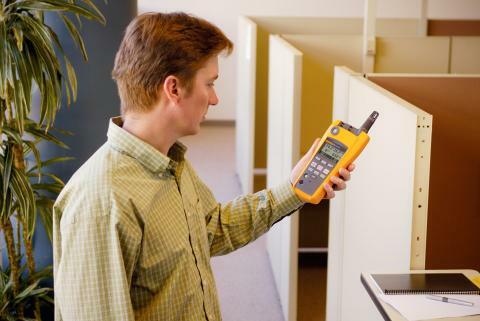 Five years ago, with the move to highefficiency equipment, Fluke began receiving trouble calls from service techs. The calls came post-installation, and they weren't about the new equipment—they were about other parts of the system that were now operating erratically, if at all. 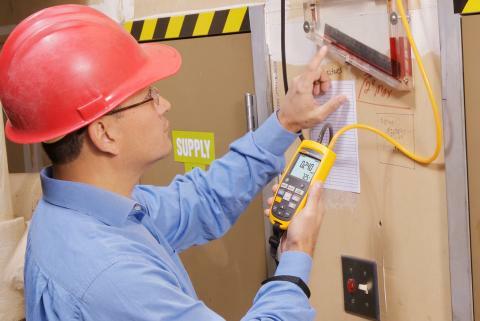 Examine six areas when deciding on the best insulation resistance tester for the application. 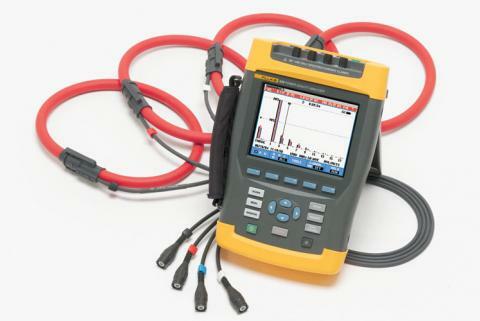 Consider the equipment to be tested, test voltage requirements, the testing environment, other possible uses, the experience level of those using the tester, and measurement safety features of the insulation resistance tester. Most of the hours when comfort cooling systems operate are well below outdoor design conditions. The equipment may have been selected to maintain 75°F and 50% RH indoors when it is 95°F outdoors, but what happens at lower outdoor temperatures? There's less run time to satisfy the thermostat, but not enough run time to maintain desirable or comfortable humidity levels. Some modern equipment and components are designed to overcome this effect. 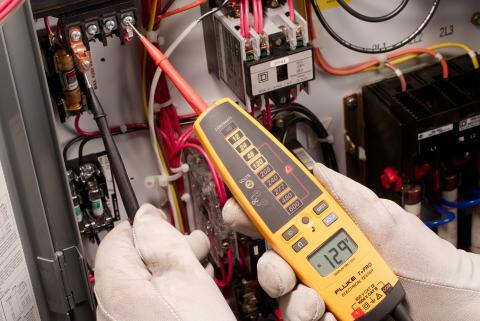 If you're still using these solenoid testers, it's time to trade up to an solid-state electrical tester.